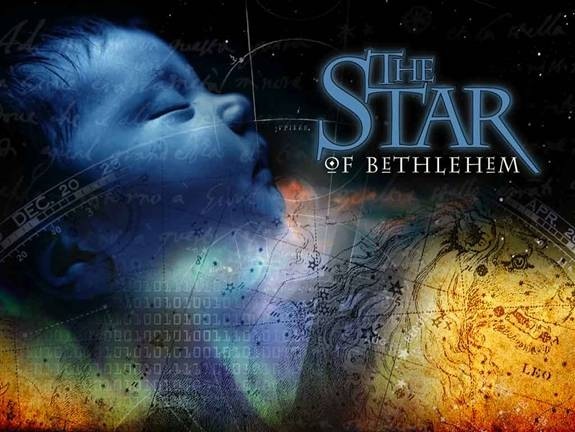 A law professor finds astronomical proof for the star of Bethlehem. Why wait for Christmas? Glorify him now! This is a set of videos. Take your time and watch them as a batch, or one at a time, as you have the time. A very organized and clear presentation. There are two books published on this topic which pretty much agree with his findings on the star of Bethlehem. These are “Jesus Christ Our Promised Seed” by Victor Paul Wierwille and “The Star Thar Astonished The World” by Ernest L. Martin. Thanks for the book references. It would be nice to have a hard copy of this. the same conjunction as that which made the Star of Bethlehem. Some commentors have said it announces Antichrist. I say why should it not instead announce the return of the Messiah. Must everything be a sign of something dire? Why not blessed news? hmmmm could that be the “sign of the son of man” mentioned in Matthew 24? I think, no matter WHAT is going on with man, stars are a constant reminder that there is a God in heaven watching over us. Only he controls the planets and the stars. Jesus told us that when we saw him, we saw the Father. G-d wants us to be able to understand who He is. So to know G-d and understand G-d and to grasp who G-d is we must first know who His Son is. If you want to know G-d, then know Jesus. Marianne, I thank Him for watching over us. Even when we do not know it. The Passover is the Unleavened Bread Festival (Festival of Matzah) which is 7 days from Nisan 15). The Last Supper as well as His arrest was not the evening (Nisan 14, Wed) before the crucifixion day, but the evening (Nisan 13, Tue) one day earlier. It’s impossible to account for all the events after the Last meal within 6 hours time slot – in breath-taking pace going through the arrest, Yeshua vs. the former Chief priest, Yeshua vs. Sanhedrin, Yeshua vs Pilate – act I, Yeshua vs Herod Antipas, and Yeshua vs. Pilate – act II (final sentencing). For the Star of Bethlehem, see EL Martin’s work, The Star of Bethlehem – The Star That Astonished the World Also, and . You can download a file to read ‘Passover-Passion Week Timeline of AD 30’ for the Last Week of the Messiah at free access open to public for other files (English New Testament). The files to read is at tiny.cc/BostonReaders (comments are welcome; references upon request). The files to read is at http://tiny.cc/BostonReaders (comments are welcome; references upon request). Sorry but I can’t buy your interpretation, for a couple of reasons. Besides the idea that the last supper was two nights before the crucifixion, which just defies all logic to me, there is the fact that Christ had to be in the tomb for 3 days and three nights, and more than likely this number was actually 3-1/2 days – a very biblical number as we all know. If He arose before sunrise on Sunday, he must have entered the tomb on Wednesday before sunset. (3 days to Sat.-sunset, then ½ day to Sunday morning). He died on passover, the same day as the last supper which is the prep day for the first day of the feast of unleavened bread, which is an annual sabbath (as is the last (7th) day). So the Passover was on a Wednesday, and according to the Jewish calendar, that would coincide with AD 31, not 30. Also, if you do the math on Daniel’s prophecy of 70 weeks, the messiah would be anointed (baptized) in the year 27 AD. That was the beginning of His 3-1/2 year ministry. If he was 30 years old when He started (the age when most Rabbis begin ministering) in the fall of 27 AD (He was born on the feast of trumpets – Sep. 29) that would place His death in the spring of 31 AD. I’ve done the math and this is the only scenario that works without fudging. For the translation work (IRENT), you may like to look at the updated ones. They are continually being updated and uploaded. I have put in the recent ones several attachments in each PDF file. The list will be shown on the left pane when you open the pdf file. One of the attachment is “Supplement: Calendar Systems and Passion Week Timeline”. You will find it very informative and eye-opening for some issues. I have not included in it the time line of the Passion week before the Crucifixion day (Nisan 14), which I’m currently reviewing. As to Daniel’s prophecy, my opinion is that it’s better discounted out, since everyone claims this and that whichever way he likes to interpret to come up different conclusion from AD 30, 31, 33 – you know what I mean. Most of the articles and book pages are copy of copy of copy of someone else. I bet you 99.9% are not scholars specializing the prophecy books. Every cult loves to interpret Daniel to suit their way – prophecy-manias. I watched this video about a month ago and it looked interesting until I got to the part where he claims that the dragon of Revelation 12 is King Herod. When reading the book of revelation, most symbolisms are revealed within the book itself. A good example would be, the seven heads, ten horns and seven crowns of the dragon. The answer to literal meanings behind these symbolism can be found in Revelation 17. There is no doubt about the identity of the dragon, for the answer to who he is is given in Revelation 12:7-9, which is Satan. The dragon as a whole represents a couple different things, with Satan as the one who is orchestrating in the background. The seven heads of the dragon represent seven hills upon which the woman sits and also represents a succession of seven kings, where the ten horns represent ten kings who will rule concurrently under the beast and who are also synonymous with the ten toes of Nebuchadnezzar’s statue which is made of iron and partly baked clay, the last kingdom. To be clear, the dragon is not representing king Herod. One of errors that I notice with those who expound on this book is that they are either symbolizing what is meant to be taken literally or they ignore God’s given answer to the symbolism and create their own. We need to pay attention to what is written in God’s word and base our interpretations on what God has provided instead of relying more on outside sources. This guy seemed to know what he was talking about up until he identified the dragon as king Herod. It was like he was so concerned about proving his point that he didn’t notice that the identity of dragon is right there a couple of verses down. And I’ll say it again, the male child is not Jesus! Jesus does not fit the criteria as being the male child. This is very easy to prove, for when the woman/Israel gives birth to the male child, he is snatched up to God’s throne before the dragon/Satan can harm him. On the other hand, Jesus was crucified according to plan. The point is, Jesus was not snatched up God’s throne before the dragon/Satan could harm him. And praise and thanks be to God for that, for where would our salvation be? The bottom line is, our interpretations should be based soley on the word of God. If it doesn’t fit with what God’s word says, cast it out. But doesn’t Herod represent satan, aka dragon, aka antichrist? Who else would have wanted Jesus to not fulfill his purpose? Throughout history we see satan personified in many….stalin, hitler etc…. That is the way I understood Rick. The man child of Rev 12:5 is an adult male. The Rev 12:5 ‘rod of iron’ rulership is defined in Rev 2:27 as being none other than Jesus himself. The ‘snatched up’ to God’s throne is 40 days AFTER the resurrection. Though it is difficult for us to comprehend, Rev 12 tells us that if Jesus had not ascended to his throne in heaven, the dragon/Satan would certainly have been able to harm him. How so?? Jesus’ body (all of his children by faith 1Cor12:27) would not have the Holy Spirit to help defend themselves from the wiles of the dragon/Satan, the HS impartation of which (John16:7) was dependant upon Jesus not only being crucified and resurrected, but also being caught up to his throne! Thus, the man child of Rev 12 is indeed Jesus. Act 1:9 …he was TAKEN UP; and a cloud received him out of their sight. Rev 2:27 And he shall rule them with a ROD OF IRON; … even as I received of my Father. 1Co 12:27 Now you are the body of Christ, and members in particular. Joh 16:7 Nevertheless I tell you the truth; It is expedient for you that I go away: for if I go not away, the Comforter (Holy Spirit) will not come unto you; but IF I DEPART(ascend to the heavenly throne), I WILL SEND HIM UNTO YOU. Act 2:4 And they were all filled with the Holy Ghost(Comforter), and began to speak with other tongues, as the Spirit gave them utterance. Here are my thoughts regarding your comment above. There are those that believe and are of the opinion, that the woman of Revelation 12 is referring to that of the Church. Perhaps this is the consequence of 1800 plus years of supersessionism, otherwise known as replacement theology. There is nothing within the context of scripture here, that would indicate that this woman of Rev. 12 is the church, therefore it must then be understood as being an incorrect assumption. However, there are passages that would support the opinion that this woman is instead Israel. Genesis 37:9,10. where Joseph was rebuked by Jacob (Israel) after explaining the dream that he had had, would be one for example. Above we see that Jacob, (who’s name was changed to Israel by God in Genesis 32:28), understands beyond a question of a doubt, who the symbols of the “sun and the moon, and the eleven stars” represents. Therefore it would stand to reason that this inspired realization be brought forward, and that its representation is to still remain applicable to any further mention of these particular symbols. With the inclusion of Joseph within what are now “the 12 stars” in Revelation 12, this woman would then be representative of the complete fullness of Israel. And if you also happen to be of the belief that the man child is Yeshua, “How could the Church birth its Creator and King before it had ever existed?” Sort of a like the chicken before the egg scenario huh? That is simply not logically possible. Yeshua was born, lived and died before the Church itself even came into existence. It was not the other way around. THE MAN CHILD…… YESHUA OR THE 144,000? There is more evidence within scripture to suggest that this “man child” is the 144,000 than that of Yeshua as well. The story of Hannah in 1 Samuel, could very well be utilized as a foreshadowing of this event. Within that story, she would be representative of Israel, and Samuel in turn would be representative of the 144,000. Nonetheless, if I were to be say an author of a novel, and I wished for you as the reader to understand a particular time frame in which my story happened to take place, I would probably relay that information to you relatively early within the first couple of chapters. The book of Revelation does the same thing. This would then mean, that all of this following information has been until now, “hidden and unknown”. John states in Revelation 1:1. that this is, “The Revelation of Jesus Christ, which God gave unto him, to shew unto his servants things which must “shortly come to pass”; and he sent and signified it by his angel unto his servant John:” KJV. The term translated above as “shortly come to pass” can only be understood within its correct context, as to be referring to to the future, rather than having any historical significance whatsoever. Furthermore, this is supported as well by what is stated in verse 3. “Blessed is he that readeth, and they that hear the words of this “prophecy”, and keep those things which are written therein: “for the time is at hand”. KJV. In verse 19 Yeshua says to John, “Write the things which thou hast seen, and the things which are, and the things which shall be hereafter;” KJV. Yeshua tells John to write the things which he has seen. This he evidently does by writing within the next verse Yeshua’s explanation as to what he had just seen regarding the vision of the seven stars and the seven golden candlesticks. Yeshua then informs John to write “the things that are”, within the epistles to the Churches. The “shall be hereafter” would again indicate that this is a prophecy regarding future events. The English word “hereafter” is derived from the copulation of the Greek words “ταῦτα μετά” or transliterated, “tauta meta” (Strong’s 5023 and 3326 respectively.) Combined in this manner they simply can be defined as in English as “after”. Again with the inclusion of “hereafter”, this cannot be misconstrued as meaning anything other than regarding the future from when John experienced this vision, and the revelation from Yeshua, and the angels. So above we have been provided with “revelation” and its specific definition. “Shortly come to pass”, and “prophecy” and its specific definition. “The time is at hand”, and “The things that shall be hereafter” by Yeshua Himself in verse 1:19, and then “hereafter” again in 4:1. That is six (6) instances for the reader to understand the context of time frame! Therefore since there is nothing to indicate that anything of a historical significance will be provided within the following discourse, and that it is indeed a sacred prophecy provided by God to Yeshua to reveal what has previously been hidden to His followers, then the wording translated as “man child”, (within the KJV.) in Revelation 12:5 cannot be that of Yeshua. Many appear to simply jump to conclusions based upon the terminology that has been translated into the English, “rule all nations with a rod of iron”, and make the assumption that it is Yeshua. (Though to actually do that, it would be contradicting the six (6) previously stipulated points that were provided for the reader to understand the context of time frame.) What many fail to recognize is that this same terminology is not only applicable to Yeshua as expressed in Psalms 2:9., and Revelation 19:15., but is also expressed as being the reward to the overcomers in the epistle to the Church of Thyatira in Rev. 2:26,27. as well. So the phrase to “rule all nations with a rod of iron” is not definitive enough to utilize as a conclusive justification as to only be referring to one specific entity. Rather, the phrase itself encompasses all who will be chosen to rule and reign with Him within His Millennial Kingdom. In Isaiah 66:7-13., God, in speaking of end times, uses more or less the same terminology in referring to the remnant which would very well consist of the 144,000. ”7 Before she travailed, she brought forth; before her pain came, she was delivered of a “man child”. Revelation 12:5 also states that this “man child was caught up to God and His throne”. If one was to thoroughly investigate Revelation 14, I believe that they would see a description of this being “caught up” included within verse 2. The chapter itself starts off with Yeshua standing on the earth, on Mount Zion, with the 144,000. Then John describes an event that starts with hearing a Voice from heaven. Now instead of the 144,000 standing on Mount Zion with Yeshua, they are all collectively singing a new song, before the throne, before the four beast, and before the elders. They have been translated from the earth to heaven. To reiterate, the church did not give birth to its Lord and Savior. It was clearly the other way around. Therefore Revelation 12 must be referring to the woman as being that of Israel. As well, because of the six stipulated points that are provided to the reader to understand that this book is revealing future events, the “man child” can not be Yeshua. There is far more scriptural evidence to then suggest that this terminology “man child” is instead referring to the 144,000. The first fruits of a special group chosen specifically by God for His good purpose. Nice to know someone read my comment and cared enough thoughtfully reply. Thank you. 1) I agree with you that Gen38 adequately confirms the 12 stars on the head of the woman of Rev12:1, as being the Tanach people of Israel (Jacob’s direct biological descendants, plus foreigners adopted into him like Rahab and Ruth [Mat1:5] who preceded King David in his bloodline). 1) How could the Church birth its Creator before it had ever existed? 2) How could the Church birth its King before it had ever existed? 3) Does a Jew cease from being part of the woman Israel, after becoming a Christian? 4) How could the Church find any of its identity as being part of Israel? Question 1) This question is ‘How could the foundation found its founder before it was founded?’ which is circularly confusing to the max! The simple answer is that Israel birthed Yeshua. Yet Yeshua also birthed Israel. Remember he was the root of King David via Adam. So in being both the root and offspring of David Rev22:16 so there is circular procreation occurring. No problem here. Question 2) This question is ‘How could the foundation give birth to its head?’ Simple. Kings arise from their foundation, whether by authorship or succession. And in this case John19:19 says Yeshua is ‘King of the Jews’ who was born from his Israel foundation. No problem here. Question 3) If he is born of Israel, he is born of Israel, period. No problem here. Question 4) Rev12:1 describes the woman clearly as Israel, without any christian clues except that of “BEING CLOTHED” with the sun. Is it possible for any of the christian church to be intermingled with the woman in the wilderness? Yes, because all the first christians were Jewish and as such qualify as being of the woman Israel. Could non-christian Jews be part of the woman Israel, most definitely. Would Non-Jewish christians ever qualify as being of the woman Israel? Yes, but this is complex subject matter. Would goats, whether claiming to be Jew or Christian qualify as being of the woman Israel in the wilderness? Unfortunately yes, but Matt22:11-13 tells a terrifying story of the end of such a charlatan. But there is yet another picture portrayed in Rev 12 which tells of eagles wings given to her. One explanation (of many) for the wings is that the Daniel 7:4 eagles wings plucked off of the lion, which could mean wealth is carried from that nation’s eagle wings to be plucked, and helps carry the woman into the wilderness to both help her to escape and to provide for her sustenance needs. If these eagle’s wings are composed of people, then any or all of them need not be Jewish or Christian! Something to think about. Isa 66:7-8 Before she travailed, she brought forth; before her pain came, she was delivered of a MAN CHILD. v8 Who hath heard such a thing? who hath seen such things? Shall the earth be made to bring forth in one day? or shall a nation be born at once? for as soon as Zion travailed, she brought forth her children. (1) Man-child is mentioned in both of them and superficially seem to be one-in-the-same, but the birth partum deliveries are quite different. (2) The woman of Rev12 is travailing in pain, but the woman Zion in Isa66 is NEVER in pain. Isa66:8 goes on to define the nature of this particularly painless birth of a man child as being a whole nation, to occur in one day. (3) THE REV12 MAN-CHILD: From the glorious days of King David, Israel clung to the promise of a Messiah for 1,000 years, groaning under the agonies that broke down the glory of those earlier days. Much prayer and travail went forth for the promised King to eternally sit on David’s throne. Then finally Yeshua their king was born. And when God himself is born in the flesh, most certainly Satan is aroused as happens in Rev12:3. (4) THE ISA66 MAN-CHILD: In Mat 12:45 Yeshua describes the Spiritual state of Israel during the time of his public ministry and foretells of a 7-fold increase in evil to come after his departure, which highlights the tremendous evil that would befall Israel in 70AD onward. Then nearly 2,000 years later, the nation of Israel is born, practically with no effort at all! This sounds like a better fit for a pain-free partum delivery. Mat 12:43-45 But the unclean spirit, when he is gone out of the man, passeth through waterless places, seeking rest, and findeth it not. v44 Then he saith, I will return into my house whence I came out; and when he is come, he findeth it empty, swept, and garnished. v45 Then goeth he, and taketh with himself seven other spirits more evil than himself, and they enter in and dwell there: and the last state of that man becometh worse than the first. Even so shall it be also unto this evil generation. They only appear in Rev 7 and 14. Scripture calls them servants Rev7:3, virgins Rev14:4, redeemed Rev14:4, men Rev14:4, and firstfruits Rev14:4. Scripture finds them standing on Mount Zion and then suddenly without detail how they get there. . . they suddenly are up in heaven singing songs that only they as an exclusive group are allowed to sing! They also are described as being very pure. (1) Cults like the Jehovah Witnesses feel that if they work hard enough to bump off somebody at the bottom of the list of the 144,000 then their place among those special ones will be secured. (2) Others feel like the 144,000 will be raptured(translated), even though scripture says nothing of this. (3) Others feel like these will be under a special anointing, protected from tribulation harm (well at least in this one, Rev7:3 says harm cannot come TO THE ENTIRE EARTH until the final servant is marked, thus completing the 144,000 total). (4) Others feel like they must be the woman of Rev 12 who is hiding the wilderness, only thing is, she is there 1260 days, but the 144,000 arrive in heaven before the bowls of wrath are poured out, so there is a timing problem with that one. (5) Others feel like these will be Jewish missionaries to the nations, even though the Rev14:6 verse about preaching the gospel FOLLOWS after the 144,000 have already arrived in heaven, so there is a bit of a problem with that one too. (6) Lots of speculation about just what happens to those 144,000, always euphoric, never difficult. The biggest clues about them are the terms “redeemed” and “firstfruits”. An in depth study of these two terms should help identify what is spiritually occurring with respect to the 144,000. Scripture says they follow the Lamb wherever he goes, in utterly perfect obedience. (7) Yet those who speculate always seem to evade Jesus’ words: John 15:13-14 Greater love hath no man than this, that a man lay down his life for his friends. v14 Ye are my friends, if ye do whatsoever I command you. The thought that these 144,000 might step up to be the first to become beheaded by the antichrist, is just too… Just too terrible… No, it just couldn’t be! No! They are pure and spotless just like Jesus, They don’t deserve to die like that!!! Yeap exactly. Just like Jesus. why would eagles wings be people? Isaiah 66 man child: Israel was birthed out of the holocaust, so there was pain. maybe the woman is both Israel and the church…..rev 12 says she flees twice….first time she just flees, and then the second time, it mentions she has the testimony of Jesus, and needs eagles wings to flee, and gets help from the earth. So both flee. Above I was trying to explain why I personally don’t believe that the “male child” in Rev.12 is referring to Yeshua. (A position that is contrary to what you initially expressed above.) To support my understanding, I provided six (6) stipulated points, which are supplied for the reader to understand the context of time frame. And if understood correctly, these express that it couldn’t be Yeshua. For each of those points in my opinion, definitively suggest future events, rather than that of historical. …Thank you Alienated for your rhetorical question and making your six points. May we be friends now? Since Rev13:2 (also Dan7:7) details the Beast as having collective attributes of the previous three beasts of Dan7, then lets look at the first beast of Dan7:4. You mentioned recently that you had always felt this Winged Lion to represent Babylon. I agree with you 110%. As you will see in the photo http://www.loc.gov/pictures/resource/cph.3g10223/ there just so happens to be only two world super powers (who walk closely side by side in many different ways) which could possibly fulfill the “Winged Lion” as it exists today. but the WINGS which ‘ride on her back’ is the DAUGHTER of Babylon (Isa47:1, Ps137:8, Jer50:42, Jer51:33). If one looks closely at the ‘daughter Babylon’ verses, it is easy to conclude that she will be destroyed, not the mother. It is a fascinating picture of the wings ‘riding on her back’ because this is much like the whole Rev17 Babylon riding on the back of a beast, but what we must clearly keep in mind is that scripture talks about both a mother and daughter Babylon, the daughter of which is to die in Rev18. Dan7:4 tells us those wings are going to be plucked off. The action of plucking those wings off will cause the Winged nation to die, but there will be some of that nation who will escape into all nations (which includes off shore businessmen and military personnel), and a few will end up in the middle east. These who no longer have a “Winged” homeland (because the war destroyed it) will with their remaining assets earnestly desire to take refuge with the woman in the wilderness for any of a multitude of reasons. God will cause them to flock in so that by means of their assets, the woman will have enough food to survive the 42 months in order to fulfill this scriptural promise. This is the answer to your question of how could eagle wings be people. Israel’s birth certainly followed the catastrophically evil losses to the people of Israel in WW2, but logic dictates that sequential occurrence can be due to either  direct action by the first in the sequence, or  an entirely external action, or  a combination of both. Jacob throughout the ages has suffered similar losses to WW2, but yet without birthing a homeland, what exactly was it that made this one any different that those of the past? I believe 1948 was a pain free labor in order to set the stage for the antichrist to set Satan’s throne there. This means that Satan was so much a part of causing the nation of Israel to be born, that it was almost without much effort from the seed of Jacob themselves. Wait! Please don’t get mad at me yet!!! There is proof for this. Have you ever heard of Albert Pike who played a major role in American History in the 1800s? Here are some of his credentials: Born in 1809, Albert Pike was self-confessed Luciferian so filled with demons that he could read and write in 16 different languages. Pike studied at Harvard, was a 33rd degree Mason, Chief Judiciary Officer for the Ku Klux Klan, and Confederate Army General. Pike is the ONLY Confederate army leader to have a monument erected to himself in Washington DC. …and you thought the Confederates lost… Well they did, all except Albert Pike. Pike wrote the freemasonry handbook: Moral and Dogma. Then on Aug 15th, 1871, Pike wrote a letter to an Italian revolutionary leader named Giusseppe Mazzini who also was the illuminati 33rd degree Mason who founded the Mafia in 1860. That letter Pike wrote to Mazzini in 1871, which fell into the hands of the public detailed a satanic prophecy or illuminati blueprint to be followed precisely in which three world wars would be crafted to bring in the pure doctrine of Lucifer. Below is the content of that letter. In 1871 Albert Pike envisioned three World Wars to be followed by an unparalleled economic disaster. Pike’s plans have come to fruition, shockingly ‘on target’. Who is Pike and perhaps more importantly who backed Pike? This is what is coming NEXT in just a few years from now! Scary stuff, huh? That bloody social cataclysm being crafted to bring in the pure doctrine of Lucifer (the rise of the Antichrist, breaching his peace covenant at Mid-Tribulation) is one in the same with the Dan7:4 plucking of the Wings off the Lion, is the same as the ripping out of three horns in Dan7, is the same as the Rev13 head wound to the beast, is the same as the Rev18 destruction of the daughter of Babylon, is the same as the ‘first sickle’ harvest of Rev14, is the same as the first big sweep of bloodshed from the seals in the Book of Revelation. So in reading the above hopefully you will at least now see why I believe Israel’s birth in 1948 was without labor pains, because it was NOT out of the will of Jacob himself to form his nation, but rather it was totally out of the will of both Satanic World Principalities and Almighty Holy Creator God in heaven. It was an immediate effort-less delivery of a man child per Isaiah 66. (2) i still do not agree. Pike did not found america, he was not there to sign the declaration of independence or fight the war against england. He showed up later as one demented man. lucifer is always busy with his own plans, but it does not mean he gets his way all the time. WW3 will not turn out like he thinks. The jews were willing to move to Israel before WW2, but they could not get out of germany. the foundation for a land for the jews had already been set in place in 1917, but after that the muslims there worked with hitler to block immigration. lucifer cannot do anything unless it ultimately fits the plan of God. God used ww2 and the British to finally open Israel up for the jews. So God reopened Palestine for them, not the political zionists or lucifer….even if they take credit….and it was done after much pain. the zionists were smart enough to see that they were all going to get killed unless they got out europe…their problem was that they could not convince others of the dangers ahead. also, there has been a constant jewish presence in Israel for 4000 years…. they have always lived there and there were many that moved to Israel before any wars started. (1) I don’t know what more to add besides what I shared above. If you feel that is enough to start a page with then great, or else if you wish me to repost that on the page ‘Woman on Eagles Wings’ then I will do that. Any combo: both, neither, one or the other. Of course you would need to edit it somewhat, no problem. http://www.thehalsreport.com/2010/07/d-c-london-and-vatican-city-do-they-rule-the-world/ Some believe the three stars were to represent the planned out future emergence of three power centers which would rule over the free world, financially, militarily, and spiritually. Those three power centers are Washington, DC, the City of London, and the Vatican in Rome. All three cities are highly unusual “city states”. They are not within a nation. All three cities have their own flags and their own laws. Also, neither of the three cities pay any taxes to any higher authority, with their own constitutional laws: City of London independent of England, District of Columbia independent of the USA, and Vatican City independent of Italy. 1. City of London rules at a financial level. 3. Vatican rules at a spiritual level. The City of London is a one square mile city within Greater London. It’s often called The City or just the Square Mile. Within the City of London are the headquarters of many banking entities. Freemasonry is also said to have a significant presence in the City of London. The City of London surpasses New York as the world financial center. All three cities have an Egyptian obelisk. The Washington Monument is the Egyptian obelisk in Washington, DC. It was named after US president and freemason George Washington. I also noticed discrepancy of the “preparation day”. Following the words of Pastor Jack Kelly (GraceThruFaith) I believe Jesus was crucified on Thursday, the preparation day for Passover. That year, Passover was on a Friday, giving two sabbaths in a row (Friday and Saturday), in the words of Pastor Jack. And thus, Jesus was in the tomb for three nights, and the women came to enbalm him after the two sabbaths had passed (The Passover, which was its own sabbath, and the regular Saturday sabbath). I believe Jack has this on a different year than this video, too. of Jupiter and Venus and that there will be another one like that, with six planets aligned along the ecliptic, on May 11 of this year. It shows how easily we can be “confused” as to when the Lord might come to get us. He seems to have really meant what He said that “no man knows the day or the hour.” But I think the conjunction of Jupiter and Venus is another sign that it’s soon. Jesus rose from the dead just after sunrise on Sunday-the first day of the week according to Mark. There is a major problem with the idea that the Star of Bethlehem was an astronomical event and that is in regards to the directions of the star (compass points). Because the earth rotates, every heavenly object rises in the east and sets in the west, generally speaking. So an object seen in the south at sunset will appear in the western sky 6 hours later. So any directions stated in the bible can not be used to pinpoint a celestial location unless the exact time of day can also be determined. I don’t believe that the star was an actual star. I think it was a beacon from God Himself to show the world where the savior has been born. If you watch the movir “The Nativity Story” you will see what I mean. 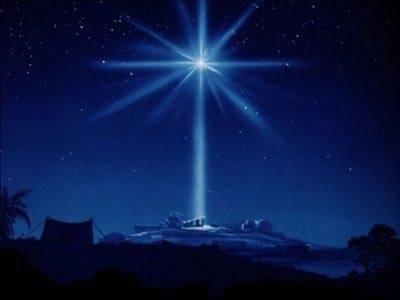 In the movie the Magi used an astronomical event to determine that the birth of the Messiah was near, but they did not use the stars as a compass to get them to Jerusalem. They already knew how to get there. (They had roads back then too you know). After being redirected to Bethlehem by Herod, they arrived in town but had no idea where to look for the infant. Then a bright beam of light shone down from heaven onto the manger which they then followed to get there. Now that is biblical. Anything less would be an insult to Christ. He was illuminated by a divine light from His father. I’m sorry but a simple and common conjunction of Jupiter and Venus just doesn’t hack it in my book. Of course, I can’t prove this, but then neither has the author of the video, as far as I’m concerned. I anybody with me on this? Not with you James, sorry. I think what the guy came across is incredible. He also discovered what was seen on earth from the viewpoint of the moon at the very moment Jesus was crucified. That video is on here somewhere, just have to find it. 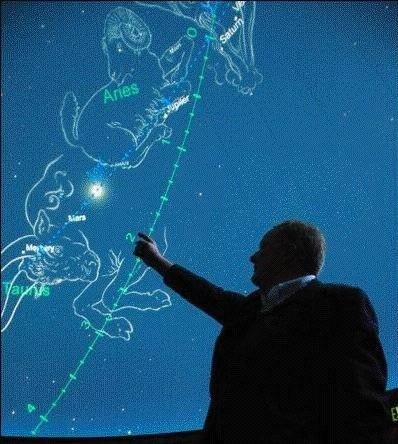 G-d told us in Genesis that the stars and planets were to be given as signs/signals. According to scripture and the evidence given above, Jesus was a toddler by the time the Magi arrived, which happened to be Dec 25th, and Jesus was living in his home when they arrived…not in a barn. The Magi would have started out from Babylon. This is my understanding. Further, john the baptist was born 6 mths prior to Jesus, so we are able to calculate, using scripture, as to when Jesus was born-September-around Feast of Trumpets. So far…I agree with ALL that you have “aspired” to understanding, along with you also, Marianne! This is an “observation” I have made from this video (AND THANK YOU FOR THE LINK!!! ), “IF” (and this is a BIG “IF”), there is such a “thing” as a, “period of Tribulation”, then it may very well start upon the next alignment as mentioned in the video. Which will, coincidentally, coincide with the ALL the other calendars, from ALL around the World, that point to a major “turning-point” for “mankind!”…which is at the end of 2012 (like it is written, “…no man will know the day and the hour…”). BUT, “…the WISE will know by these signs…” (paraphrased, of course!). For there is no reason why the seven years could not actually be, “seven seasons!” Which is approximately the amount of time between the next alignment and the end of 2012. Is it not? This is just an “idea”…nothing more! Sorry, as I had to put that in there, thinking of the false trib. You are so cute sometimes. ha! Star of Betlehem is Jupiter. Bible text recognizes only one star. Math. 2. One presumption for people who try to find the star is that it should be clearly visible for everybody. But angels did not talk to shephards about any star. The star has not been recorded by contemporaries simply because it did not exist. But Magis from the east were experienced with heavenly phenomena. What they found to be very special were three conjunctions in a very short period of time between Jupiter (Zedek) and Regulus (Malki) 9/11-3BC, 2/17- 2BC and 5/10-2BC. Jupiter changed its direction of movement several times . Ab. 11/27-3BC it met with the moon, stopped and started moving back to Regulus. After having made conjunction 2/17-2BC it stopped again 3/28-2BC and turned back to Regulus on its normal move along the orbit resulting one more conjunction 5/10-2BC.This was a triple conjunction moon participating. This whole thing looks like Jupiter wanted to remained in the neighbourhood of Regulus. On the way of its normal orbit it had a conjunction with Venus 6/18-2BC. When it reached the arm of Virgo it stood still again 12/27-2BC and returned to the hair of Virgo and stopped there and returned to its normal direction ab. 5/1-1BC. This second last date might have been the time for magi visit and the family was then probably in Galilee. Luke 2. tells that they returned after purification period. Three conjunctions with Regulus wakes up magis but hardly anybody else. I’m just wondering why I have not seen this solution anywhere, it is so obvious. A small addition to previous, obviously well noticed also by magis. During previous events Saturn was in the horn of Taurus. It wouldn’t surprise me if upon Jesus’ return that Jupiter and Regulas come together again forming the star of bethelem again. Perhaps this is the “sign of the son of man in the clouds”. Just a thought. I have noticed that G-d is very orderly and repeats things/history etc all throughout scripture and He insists on timing such as the Feasts Days/Holidays. He is not impulsive; very concise and consistent. Hmmmmmn! kinda’ makes you “wonder!” huh? I winder how many more “Real” Stars of Bethlehem their are going to be? The so called “Star” that led the wise men to the place where the infant Jesus was, was NOT the same one that they saw back in their own city in Persia! That was an Astronomical event,and one that had been forseen five hundred years before, and written down probably by the Prophet Daniel, and excitely waited upon by future men of Science. But the event that actually led them to the manger was a Divine/Spiritual event. So the two cannot be satisfactorily combined in any way shape or form!! We can only reach those whose “eyes” and “hearts” are open…and as long as we “try”…then “we” ARE following the “Teachings of Jesus Christ!” AND REALLY…THAT’S WHAT HE HAS ASKED OF US…IS IT NOT? You are absolutely right Bob, thank you. I can totally relate now to Jesus’ frustration whenever He would finish teaching and then He would say “he who has ears, let him hear”. hmmmm…did “anything” noteworthy occur on May 11th??? Other than the “conjunction”??? Now Its may 21st, didn’t you hear! Thats the problem with setting the day and the hour. I was just commenting on the latest “Date” of disappointment. May 21st is from Harold Camping of Family Radio. It should be noted that Harold Camping previously predicted that Jesus would come back in 1994. Obviously, Camping was wrong. This should give us yet another reason to doubt the validity of his prediction of May 21, 2011. 3. And then later on December 25th of that very year (2BC), Jupiter is in full retrograde and so it had stopped over the place where the child was south of Jerusalem as viewed from the temple mount. The Gospel of Matthew, and other theologians, explain how this news disturbed King Herod and all of Jerusalem, and Herod sent the Magi to Bethlehem to tell him where the child was, and it must have disturbed the people greatly because when the Magi did not return, Herod ordered all of the babies in Bethlehem to be killed. Luk_2:8 And there were in the same country shepherds abiding in the field, keeping watch over their flock by night. Luk_2:15 And it came to pass, as the angels were gone away from them into heaven, the shepherds said one to another, Let us now go even unto Bethlehem, and see this thing which is come to pass, which the Lord hath made known unto us. Luk_2:18 And all they that heard it wondered at those things which were told them by the shepherds. Luk_2:20 And the shepherds returned, glorifying and praising God for all the things that they had heard and seen, as it was told unto them. The shepherds found the child at birth, no where does it say that the wisemen found the baby in Luke. The problem with the Star of Bethlehem account above is that the writer in the Matthew account above changed the word from a young child to a baby. It is just like the Catholics changing Mariam to Mary which are two separate names. The Catholics also changed the name Joshoshua to Jesus. In a chronological Bible, you have the baby first and then the young child later separated. Here is the lineup. Lk 2:1-20 Birth of Christ, Transition: Lk 2:21-28 Circumcision of Christ. Christ was born in Bethlehem in a stable. Several months later the wise men showed up as my chronological Bible says to the house where the child was at. Joseph and Mary were no longer living in the stable, but living in a house (Matt 2:11). Matt 2:16,19 suggests that Jesus may have been one to two years old at the time.